Lo! 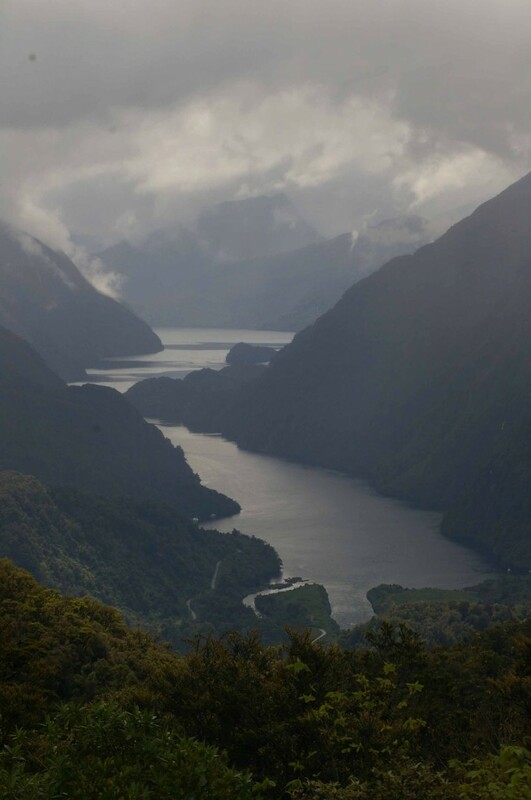 A photo of Doubtful Sound taken from the pass above. In the morning, the sound was socked in with rain, cloud, and mist, and it was romantic and mysterious. In the afternoon the sun appeared, and the sound opened up to the world, and was brilliant. Best of both worlds. New Zealand is a part of the First World in all but the Internet. Bandwidth problems continue to plague me, and I can’t work out what will upload at any given instant, and what won’t. I’ll just press the button and hope.